In the 1770s, the sight of a soaring bald eagle was so inspiring that the representatives to the Second Continental Congress, after officially declaring to the world our independence from Great Britain, named this majestic bird our national symbol. The fledgling United States of America was hatched, and the ensuing two centuries saw the greatest economic and technological growth in human history. Our nation's progress came with some unintended costs. By the time we would celebrate our Bicentennial, the bald eagle had been pushed to the brink of extinction. How bad had things become by the 1970s? 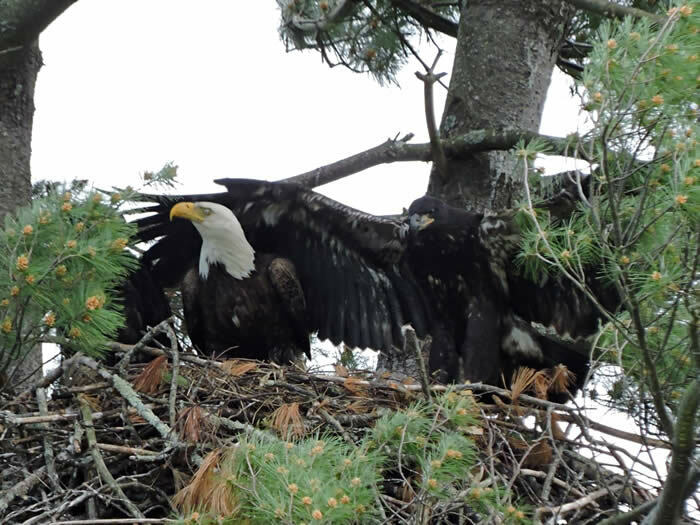 There hadn't been a bald eagle nest in Monroe County since prior to World War II. It was perhaps the shocking loss of this iconic bird, synonymous with the American ideal, that prompted passage of the Endangered Species Act in 1973. 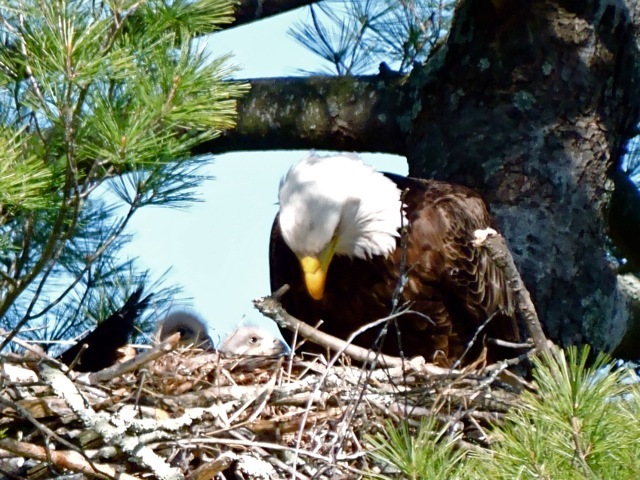 By the time our government had gotten around to enacting this historic piece of conservation legislation, there were only two active bald eagle nests left in Pennsylvania. 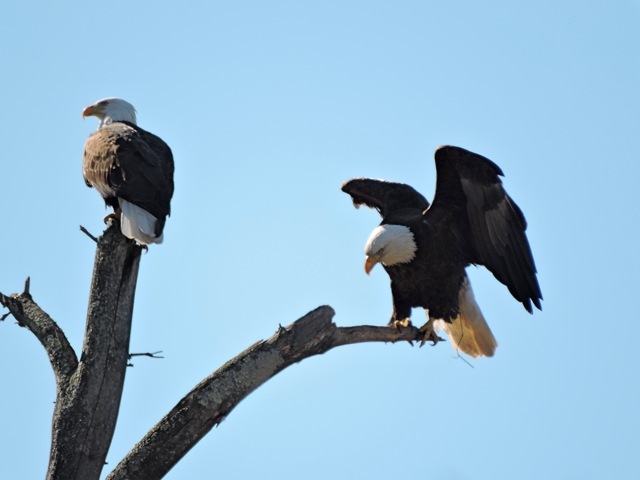 Few held out hope for the return of the bald eagle. Early research suggested that they needed large tracts of wilderness, and reintroduction to places like Canadensis and Analomink would be tough; bald eagles were skittish, and nest sites were unapproachable by man. These fears were unfounded. 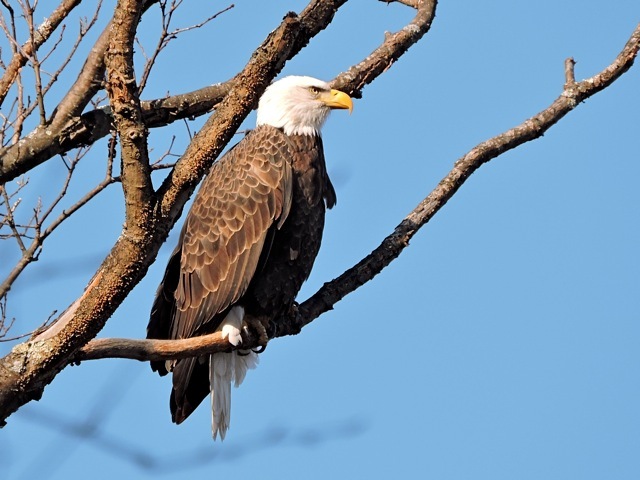 Congressional action to ban the use of the pesticide DDT, one of the primary causes of their precipitous decline, and an ambitious recovery plan have brought the bald eagle back from the edge. 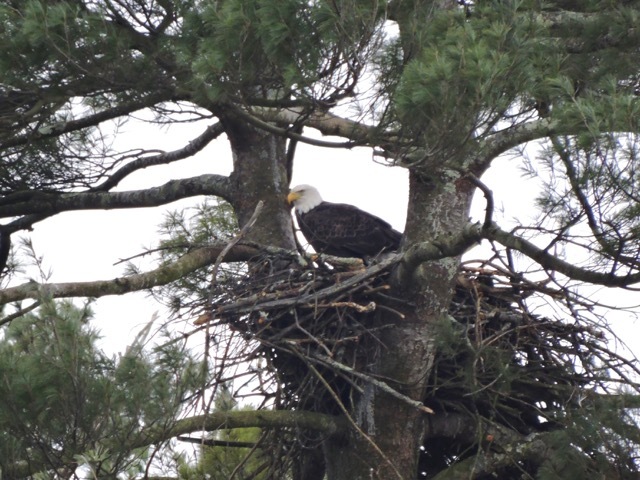 Today, there are more than 250 active nests in Pennsylvania, and at least two on the banks of Brodhead Creek, with several more spread across the watershed. What was an extremely rare sight for the residents of the Monroe County just 20 years ago has become commonplace today. My wife, Jackie, and I rang out 2014 by taking a walk to the promontory point on the Mount Wismer Preserve in Barrett Township. From this perch, we could look across the entire expanse of the Brodhead from the lip of the Pocono escarpment to Delaware Water Gap. The weather was delightful as we watched cedar waxwings feeding on winterberry and a red-tailed hawk soaring against an azure sky. A pair of ravens entertained us for a while with their aeronautic antics, and then things grew still, when the sharp chirping call of an eagle pierced the quiet. We turned in unison to the sound and found four immature bald eagles effortlessly hanging in the sky. They climbed higher in the sky, two of them flashing talons, before they were joined by another. The sixth eagle that came along was an adult, nonplussed by the antics of the youngsters. That morning we would see seven eagles. I encourage you to get out and take a walk along the Brodhead. Visit open space properties like ForEvergreen Nature preserve in Analomink. You will have an opportunity to enjoy nature in intimate ways you cannot experience watching documentaries on your TV. 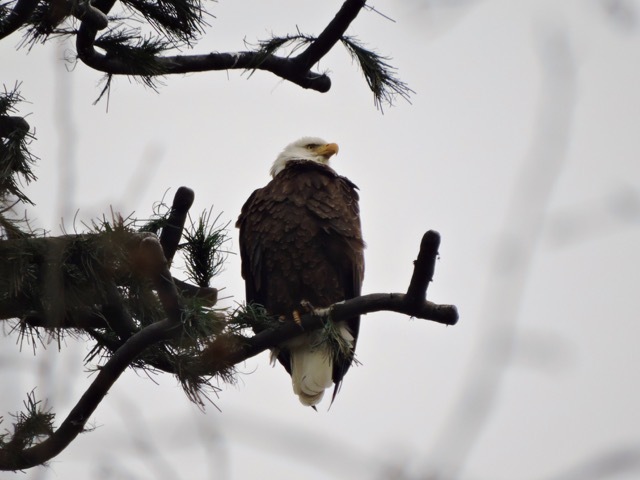 In addition to all the natural wonders the watershed has to offer, there is a very good chance that you will get to experience the same sense of awe the founders had when you see a bald eagle over the Brodhead. 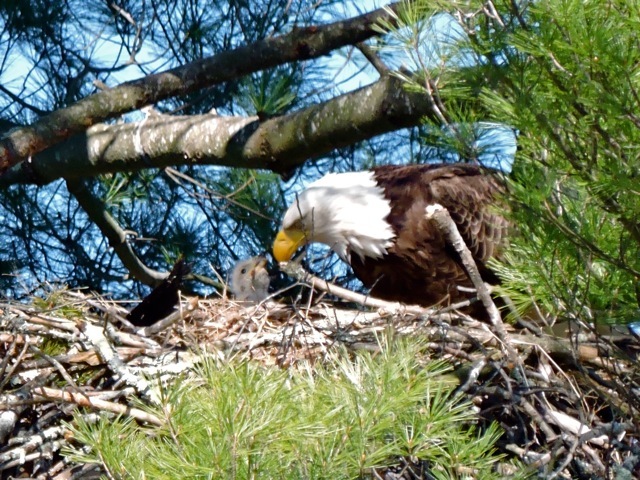 THE EAGLE PHOTOS ON THIS PAGE WERE TAKEN BY NANCY TULLY AT FOREVERGREEN NATURE PRESERVE, ANALOMINK.